They're still £4.99 on the online store, so you could grab the missing ones from there - I picked up the last 4 I was missing. I see they're all £4.99, including the Omnibus (which I've just ordered). Looks like they're selling that Apex Zenith book for 30 quid, if anyone wants that. I'll admit, I'm not all that into war comics but I've heard some very good things about this. It's a no brainer at any price but at those prices ... You would have to be completely insane to pass them up. Part of me wishes they had included the WW2 stuff as well but I can understand why they gave it a miss. On the Bolland front, I'm sticking with my signed copy of Bolland Strips. Nice price though. Complete run of Regeneration One, but no A Real American Hero? Bah. 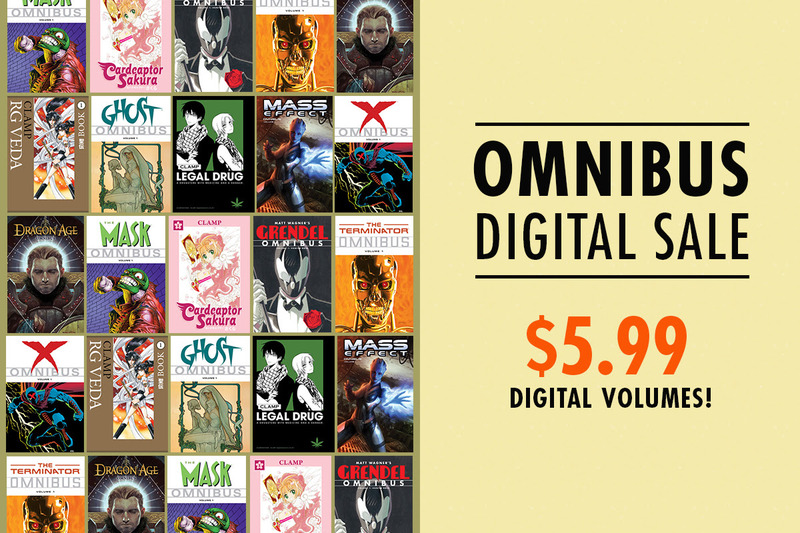 Dark Horse have a sale on the digital versions of a host of Omnibus they have. While I have everything I'd be after these's some absolute beauties here for about a fiver I reckon. Ah, Colin, you beat me to it. I've just picked up ALL of Alien Legion for $12 dollars! Result. Very tempted by the thought of the Nexus collections, too.